Official licensed Arkham Robin costume with printed red and black jumpsuit, black eye mask and a black hooded cape. Based on the Arkham Batman game, this Arkham Robin costume will transform you into the modern sidekick. This full length Arkham Robin jumpsuit has red printed armour and a printed yellow belt. Robin’s classic ‘R’ logo sits on the Arkham Robins chest. 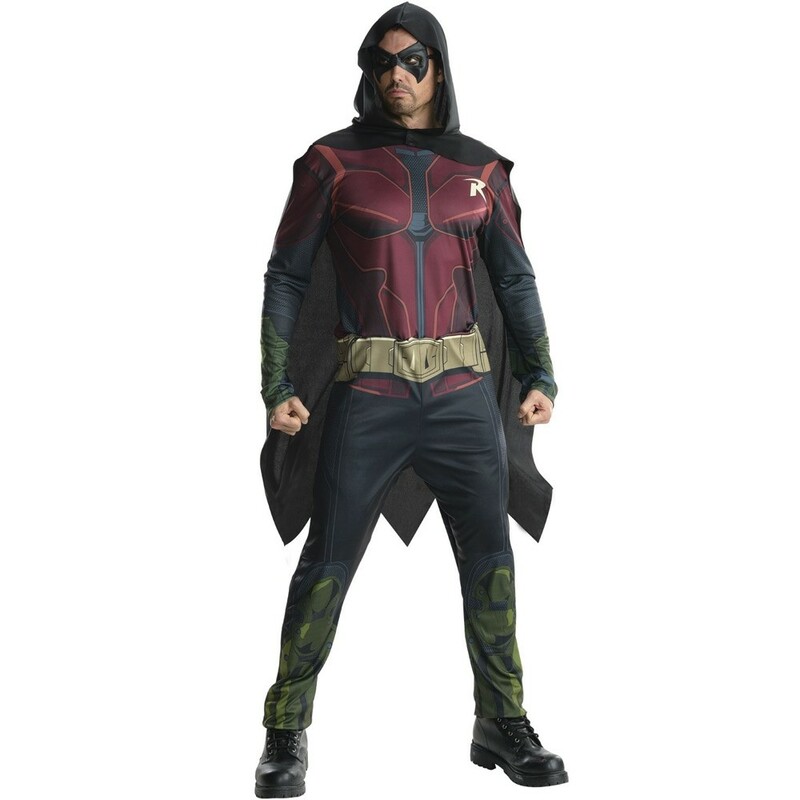 This Arkham Robin costume also includes a mid-length black hooded cape and a mysterious black eye mask.